2010 Crystal Tears and the Dream Nebula by Starfish Stories : The Band is licensed under a Creative Commons Attribution 3.0 Singapore License. As long as you ATTRIBUTE the music by stating this: “Starfish Stories :: The Band – StarfishStories.wordpress.com”* in your audio, video, website, printed materials etc., you are FREE to USE, COPY, SHARE, MODIFY, or SELL (yes sell!) any of the songs from this album. Dan O-Connor’s instrumental track, “Love Letters” (by Dan O’Connor’s “Free Music By DanoSongs.com” – licensed under a Creative Commons ATTRIBUTION 3.0 US license). Starfish Stories :: The Band is a Singaporean duo – Adrian Loo & Ivan Chew. They are self-taught musicians who prefer to produce their music this way. Feel free to contact them at their band blog or email StarfishStories@gmail.com. Consider making a donation. Only if you wish to, thanks! 10. 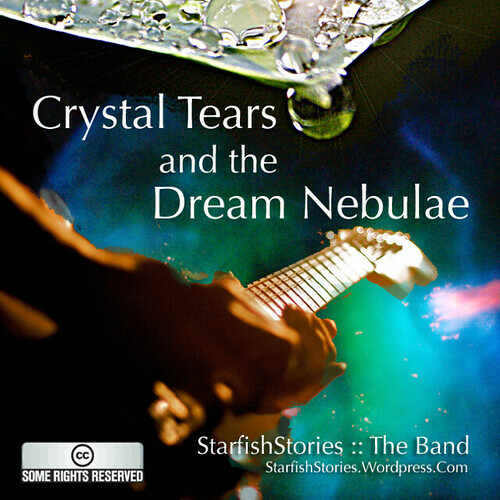 TEXT: How To Use Music in CRYSTAL TEARS AND THE DREAM NEBULA For FREE – 2.3KB TXT file. We welcome comments on how to improve our music. Feel free to share what you liked or disliked at the band blog StarfishStories.wordpress.com or email us at starfishstories@gmail.com.